SUVs are some of the most popular vehicles on the road. They provide the power and control of a pickup truck with the comfort and features of a sedan. Another reason that so many people like SUVs is the classic and refined design. If you're looking for a vehicle that will likely check all the items you're looking for off the list, the 2019 Kia Sportage is an excellent choice. With a wide array of features and other exciting options, you can see for yourself what the 2019 Kia Sportage is all about in Kalamazoo, MI, at Seelye Kia of Kalamazoo. When you're looking for an SUV, it is likely that you want something that will be able to handle whatever you throw at it. 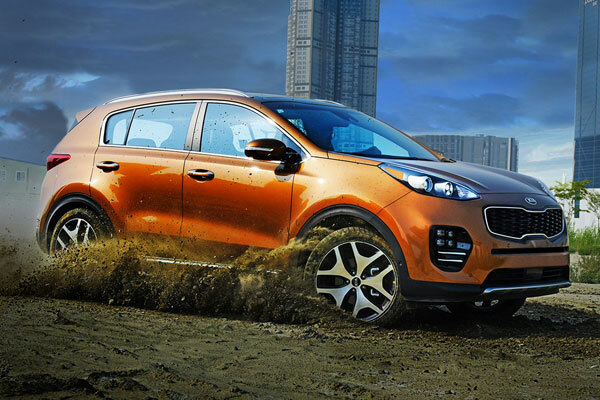 The 2019 Kia Sportage has All-Wheel Drive available on all trim levels, so you can be prepared for off-roading or the next big snow storm. That isn't where your options stop on the 2019 Kia Sportage. There are also two engine options on the three trim levels. With the LX and EX trims, you get a standard 2.4L four-cylinder engine with 181 horsepower and 175 pound-feet of torque no matter if you pick Front- or All-Wheel Drive. The highest trim level, the SX Turbo, has a 2.0L four-cylinder Turbocharged engine and 6-speed automatic transmission. Nowadays, most people are constantly connected to their devices. If you're in the market for an SUV that has the features that allow you to safely use your phone while behind the wheel, the 2019 Kia Sportage has those options for you. Our touchscreen system with Bluetooth® connectivity allows you to use your phone without taking your hands off the wheel. If you want more recent technology, the UVO system with a seven-inch touchscreen is available on the LX and standard on the EX models. The SX Turbo has a standard eight-inch touchscreen UVO system. Both advanced systems also provide drivers with Apple CarPlay™ and Android Auto™. 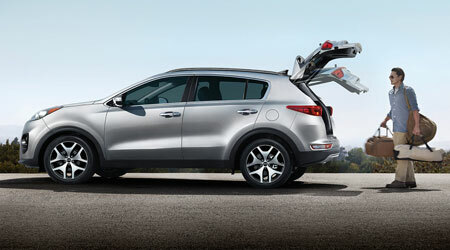 If you need the space for five people and want a vehicle that is able to do some heavy lifting, the 2019 Kia Sportage is the vehicle for you. 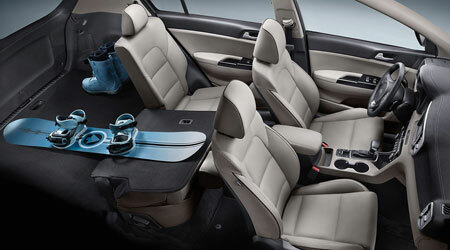 In any SUV, you're going to want plenty of space so all of your passengers can sit comfortably. In the 2019 Kia Sportage, there is a cavernous interior with 39.3 inches of head room in the front and 39.1 inches in the rear. Most people are rightly concerned that the vehicle they are getting into won't have enough leg room to accommodate them. The 2019 Kia Sportage assuages those fears with 41.5 inches of leg room in the front, and 38.2 inches in the back. If you don't need passenger space there is an impressive 60.1 cubic feet of cargo volume with the rear seat folded down. While many of these features are optional, having them can help keep you from getting into a collision. 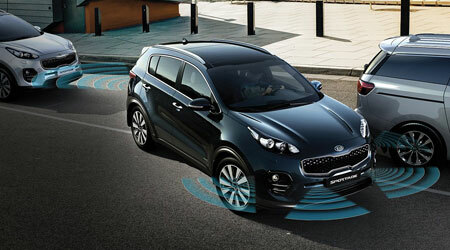 If you would like to learn more about the safety options and other features available on the 2019 Kia Sportage, visit Seelye Kia of Kalamazoo in Kalamazoo, MI.